Louis Walsh, the man who quite frankly mostly seems to be famous for being a judge on TV talent shows, has revealed his intention to leave the X-Factor after this year’s series. Walsh had previously hovered in the background, using his Svengali talents to create a sort of Irish Take That; first with Boyzone, and then with Westlife. Apparently his talent for cynically creating identikit bands who sang formulaic songs to teenage girls caught the eye of Simon Cowell who so approved of this approach that he decided to headhunt him for the latest development in blatant manufacturing that the music business had come up with. But apparently Louis misses his old role. Walsh spoke to TV Times, explaining that he ‘wanted his life back’. He said that he would not be returning in 2014, noting thatm "I'm happy this is going to be my last year. I've been judging X Factor for ten years so I've done it all." 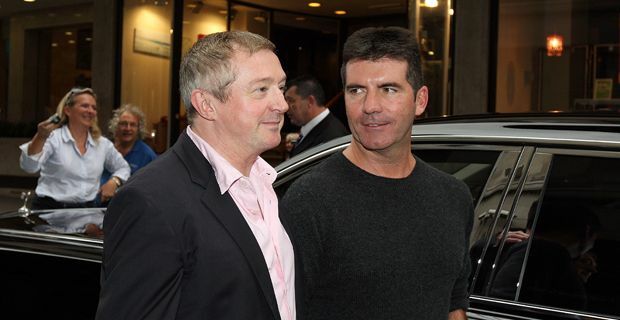 He continued: "It was never in my plan to be on TV but Simon Cowell put me there. I'm very grateful to him but I need my life back!" Walsh has been a key part of the show since its’ launch in 2004. He was the winning ‘mentor’ back in 2005 with Shane Ward and has played an instrumental role in nurturing some of the show’s highest profile acts. Union J, Wagner, JLS and of course, the one and only Jedward all served under his tutelage. He was briefly replaced by choreographer Brian Friedman in 2007, but was back on the panel within a matter of days. Walsh is apparently all set to go back to the boyband conveyor belt – presumably hoping that not engineering their rise to fame in full view of the public may help them retain some shred of credibility. The only twist in the tail is that he will be working with one of his former protégés – Shane Filan of Westlife. Make of that what you will.